We have put aside everything else to focus the next seven days on Sentinel publications. Our scheduling has been a right mess lately to be quite honest. Therefore over the next 7 days, we will be working with our distributors to ensure that all books and magazines ordered are on their way to the buyers. We shall also be pushing our Christmas special offers. We are truly humbled by the fact that despite the delay in publishing Sentinel Literary Quarterly, subscriptions have continued to come in from the UK, the United States and especially South Africa. We can't let down such faith people have in Sentinel. We appreciate the overwhelming support we have continued to receive. 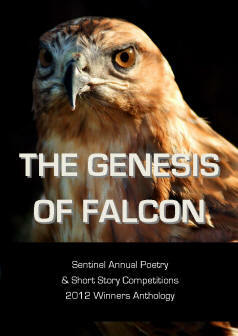 So far today we have dispatched many copies of "The Genesis of Falcon", "First Flame" - the short fiction collection by Bruce Harris, and various back issues of Sentinel Literary Quarterly, and Sentinel Champions. If you are waiting for your order, we will get to it inside this focus week and dispatch it. If you have any queries please shoot them in. We can guarantee a reply within 24 hours - not the 72 hours our mail confirmation says. All of these emails are manned. Sandra, Jacob and I are standing by to deal with any issues. Want to talk? Call me on 07812 755 751 or 0870 127 1967. If the lines are busy, leave a message and somebody will call you back.